The lawsuit by Waymo against Uber has been a hot topic for quite a while. The two silicon valley giants are standing against each other fighting over the technology that could change ground transportation as we know it now. Waymo sued Uber claiming that Anthony Levandowski, previously working on Waymo’s (then Google) self driving car project downloaded over 14,000 confidential documents before abruptly leaving company to start Otto which was soon acquired by Uber to use the stolen technology. Lot of questions were also raised on the fact that such a young company came with a price tag of close to USD 700 million. But a lot more has been going on in the background that came to light following the lawsuit. Anthony Levandowski is a key player in this ongoing battle between the giants and more questions are being raised as Uber tries to move the case to arbitration rather than going to trial. TechCrunch has shared a detailed timeline of the events and Levandowski formed Otto (then 280 Systems) on January 15, 2016, before quitting Google on January 27, 2016 which Google claims was an abrupt departure without giving any notice after working for close to a decade. For a while, Otto was operating behind closed doors. It came out of stealth in May and announced its arrival through a Medium post dated May 17, 2016. However, a month prior to that, Levandowski (and Otto) joined hands with Travis Kalanick (and Uber) and signed a joint defence and confidentiality agreement. Why would he go out and help a potential competitor? Nobody knows. In August, Uber announced that it will be acquiring Otto and brought Levandowski onboard. Another relevant piece of the puzzle came out last month with a Reuters story which added a new player into the equation. In May 2016, Otto acquired Tyto LiDAR, company building the piece of tech (and holding patents for) around which this lawsuit hinges. This happened only a day after Otto publically announced its launch. It appeared that it will be central to Uber’s defence of maybe wrap the situation with a much smaller damage. However, Waymo also alleged that Levandowski was a stakeholder in Tyto since its inception in 2012, long before he parted ways with Google, and helped Google investigate whether it should purchase Tyto without disclosing a relationship with the company in 2015. Waymo’s arbitration filing alleges that he was involved in competing side businesses during his tenure at Google. It mentions Odin Wave and Tyto as two separate companies which later merged however, Jalopnik found out that they are indeed the same company and there is record of Tyto changing name at some point indicating the same. While Levandowski denied associations with the company, documents from the City of Berkley, California indicate that Odin Wave was a tenant at property owned by Levandowski. Google was informed by a supplier of part order similar to Google’s own part in July 2013 and the company in question was Odin Wave. Another interesting link here is Ognen Stojanvoski, the person listed as manager of Tyto in Secretary of State filing. Stojanovski and Levandowski go back to at least 2005 when the two were on same team for the famous DARPA Grand Challenge. The patent mentioned earlier was transferred to a company called Pouch Holdings in 2014 which also listed Stojanovski as manager. This was the year before Google considered purchasing Tyto and put Levandowski on the job to probe into the matter in 2015. It might not be wrong to assume that Levandowski was very well aware of the developments inside Google being on the same team. In 2016, Pouch Holdings merged with Tyto Lidar in April 2016 and transferred the patent to Tyto as reported by Jalopnik. And of course post this, Tyto was acquired by Otto which came to public eyes only recently. Waymo also alleges that Levandowski, with Waymo colleague Lion Ron, started making attempts to get other employees to join their upcoming venture. Waymo has also submitted declarations, from people aware of the matter, linking Levandowski to Uber back in 2015. Uber is expected to file its first major response to Waymo’s claims today. It is hard to tell what twist this tale will take but for now, the future of Uber seems to be hinged around stolen technology. 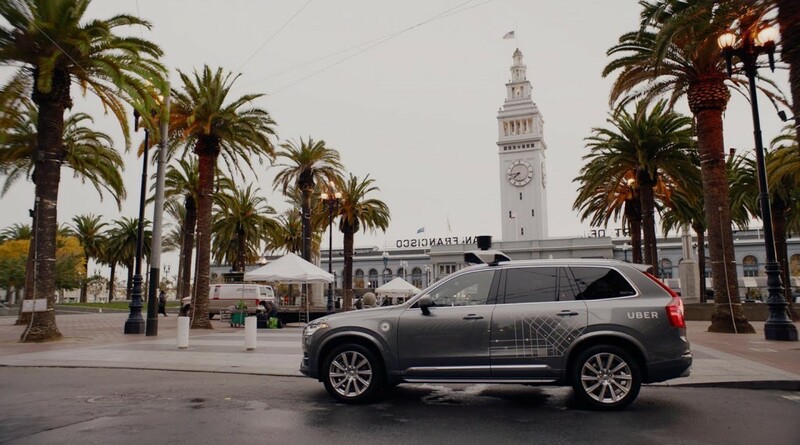 Update: Uber has responded in the lawsuit with Waymo and has shared that it began developing its LIDAR technology almost a year before Levandowski was hired at Uber. It also shared that the LIDAR sensors being used by the company are purchased off the shelf from Velodyne and don’t copy the Waymo design.